The state of Colima is not named at all. The boundaries of the northern part of the state of Quintana Roo are cut off by the territory of Yucatan. And the boundaries of Quintana Roo encroach on the territory of British Honduras, later Belize. The first two are legitimately errors. With respect to the third: Mexico, Honduras and Great Britain all expressed claims to some or all of this territory, and it was not until 1991 that these claims as well as others were settled and Belize was secure in its independence as a sovereign nation. 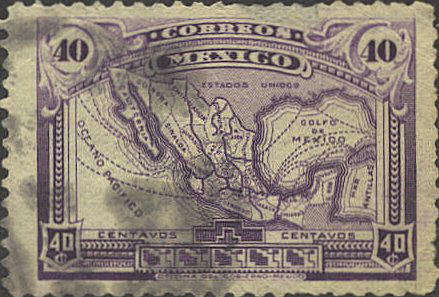 The boundary on the map expresses Mexico's views in 1915, and therefore is possibly not an error, but a political statement.